Hello Friends! Happy Thursday to ya! I've got a bit of a different color share for today. 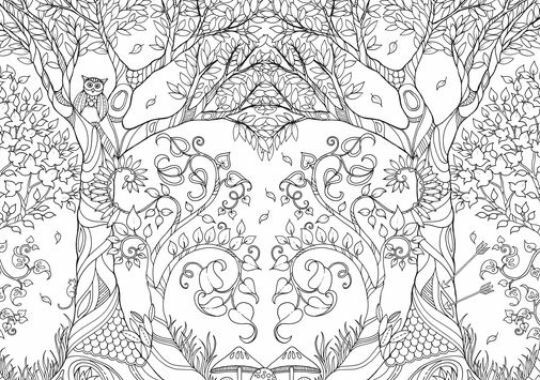 I've been seeing a lot of buzz on the InterWebs about adult coloring books. Well, being that I love to color and sometimes I consider myself an adult, I thought I should investigate and find out more. And let me tell you, there is a plethora of information out there! Whew! My head was spinning and I was giddy over the possibility of actually owning one of these gems. After much deliberation, I decided that my first purchase would be one of the books created by Johanna Basford. I am such a lover of fairy tales with princes and princesses, castles and dragons. I love secret gardens filled with beautiful flowers, toadstools and fairies. I love mermaids and pirates and stories about the sea. My parents used to read to me when I was a young girl and I would make believe that I was actually in the stories. Sooo...when I saw Ms. Basford's coloring books with names like Secret Garden and Enchanted Forest, I had to take a closer look and boy am I glad I did! 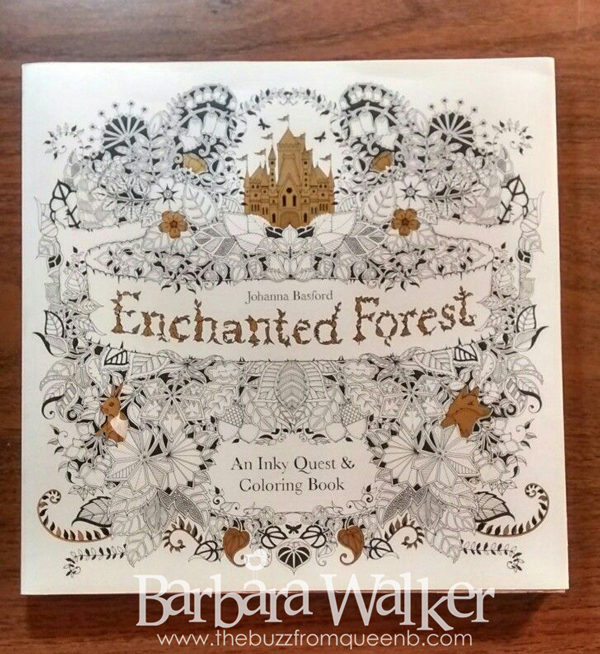 I purchased Book 2, Enchanted Forest. Book 1, Secret Garden is back-ordered AND, I also learned yesterday that there will be a third book called Lost Ocean, which will be released this Autumn. I cannot tell you how excited I am about these! The coloring book is also a bit interactive in that, there are hidden objects and symbols to be found to be able to unlock the secrets of the castle. It all sounds like such fun and the perfect thing to keep me busy during the horrendously hot days of Summer ahead. I also think this is the perfect coloring companion to take along on my beach days. The book is not designed to be used with alcohol markers. So that means no Copics! 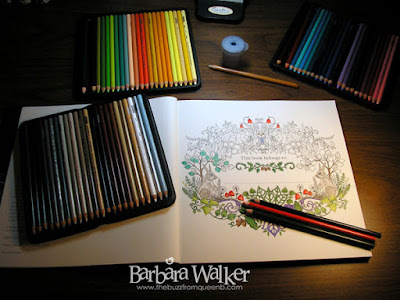 Colored pencils are the preferred coloring medium for these books and that is just fine with me! It will be nice to color something that is not going on a card. And, I can get in some practice with my Prismacolors. At the very beginning of the book. My mother-in-law has beautiful calligraphy skills and I plan to ask her to write my name in each book. I am a little rusty with my Prismacolors, but I know I will get better with time. This first coloring session was a lot of fun! There is soooo much detail on each page and I spent a good portion of my time just admiring the illustration. Have no fear, I am not going to bombard you with posts about what I'm coloring but, I will share from time to time, especially when I come across a really neat image. And lastly, in case you're interested, I purchased my book at Michael's. It's also sold at Barnes and Noble and on Amazon. I found that those two retailers were sold out. So, I took a gamble and went to Michael's and they had one! 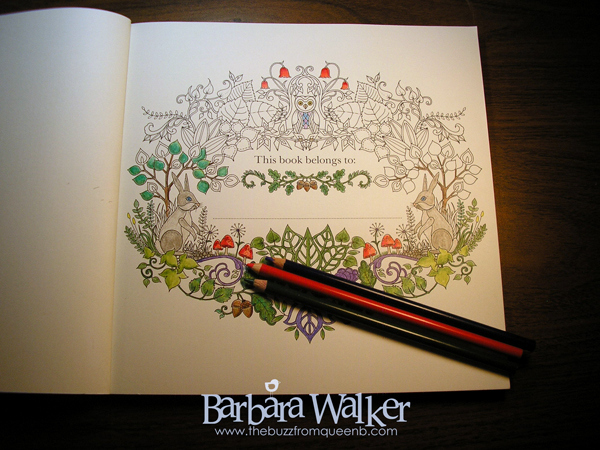 If you'd like to try your hand at coloring one of these pages, Ms. Basford has a FREE download on her blog for you. Click HERE. I'm super excited about this one because not only is it gorgeous but, I can print it onto Copic friendly paper and have at it with my Copics! Winning! And that is it for me today. Thank you so much for visiting! Hi Barb! What a fun post! There are indeed lots of adult coloring books and I, myself have been collecting some to use as inspiration for the zendoodling I attempt. Of course, I've not delved too far into that as yet. But! last year sometime I came across a small version of The Secret Garden at Joann. Small, meaning pocket size almost. I attempted to color one page and proceeded to mess it up so badly, I've not attempted another one yet. :( I didn't know they came in the larger size! Wow! It looks like you are off to a fantastic start and how neat that your mother in law might write your name in calligraphy. That will be beautiful. Please share what you color! I'd love to see. If not here, email me, okay? Hugs! !